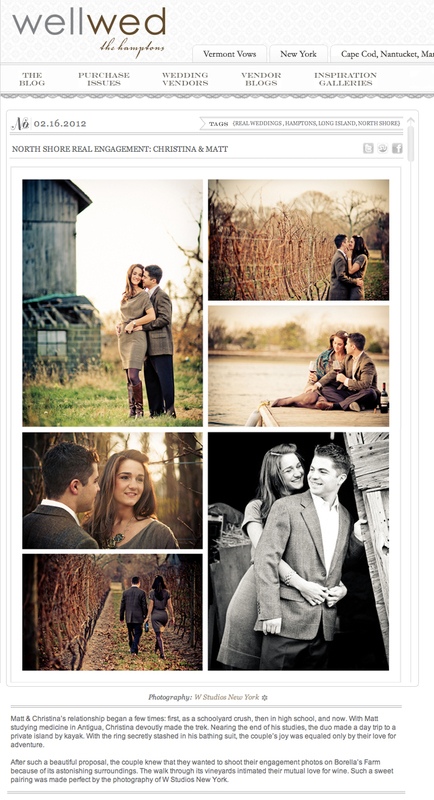 We were absolutely delighted to photograph Christina & Matt's engagement session at Whisper Vineyards, which was featured by Well Wed Hamptons Magazine last week. Their photos came out amazing, but don't take our word for it. Go see the post for yourself on the Well Wed Blog and get the inside scoop on their perfect engagement.